I have been with Park Dental since 1994. I enjoy all facets of general dentistry, but have a particularly keen interest in pediatric dentistry. When I’m away from the practice, I spend most of my time with my husband, 3 boys and Goldendoodle. My hobbies include running, hiking, traveling, and gardening. Wouldn't go anywhere else, they are all so competent. She always explains the purpose of what she is doing. Dr. Merritt was good in explaining issues and options; she frequently checked in with me on my comfort level. Non-verbal communication (87% of our communication is non-verbal) voice, tone, inflection, eye contact. Dr. Merritt is an excellent communicator. She is receptive to questions and takes the time to make sure her response is easily understood. I would include her staff as well in this observation. all of the staff were so considerate. Sweet, and kind to my toddler for her first dentist visit. They made the entire experience very friendly and non- scary for a small child. Dr Merritt is very nice. The only suggestion I would have is to give more information. I was told that I have a cavity between the premolars. I wished the doctor would hand me a mirror and say you have a cavity between your premolars, these 2 teeth here. As you should be doing between all your teeth, a good way to avoid getting cavities between these molars would be to floss X times a day. (something to this affect). I'm a visual learner, so having a visual would help me to follow through with a plan for my own care. 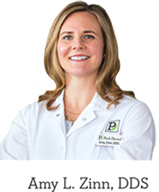 We have been seeing Dr. Amy and her staff for many years. We have always found her work to be exceptional and her manner to be caring and compassionate. Dr. Merritt has taken excellent care of me and my family. I have not always been available to do some of the extensive work due to my schedule. However, it is always addressed in a very tactful manner during my cleaning appointments and we eventually get the work done when I have the time. I am especially happy with the crowns Dr. Merritt placed on my front and very visible teeth a few years ago. Dr Merritt has a terrific way of explaining my Dental needs. I enjoy my visits to/with Dr. Merritt. She is both professional and personable. I look forward to my visits. I have great confidence in her. Very helpful in explaining everything and addressing my concerns/questions. Dr. Merritt is very caring. I relate and trust her advice. Thank You!!! Not to worry...Amy is an EXCELENT dentist by any unit of measure, but due to the pressure of modern dentistry, time is of the essence, and she manages it admirably. We have no problems worthy of the mention. Dr. Merrit is the best dentist I've ever had. don't forget the NICENESS factor. Everyone is (was?) very very nice and talkative and comfortable. I have been seeing Dr. Amy merit for years and truly appreciate the work she's done for me. Two or three years ago she placed crowns on my front teeth and they still look absolutely beautiful today. she knew I was very concerned because this is the front of my face and smile and she worked hard to ensure the shape and color match my other teeth perfectly. I have total confidence in her work and I'm a bit of a perfectionist. I get headaches easily and have TMJ Disorder ; the staff does a good job to minimize the discomfort. Dr. Merritt seemed rushed. She quickly referred me to a edina specialist. 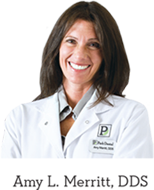 Have been with Dr. Merritt for 20+ years as she is exemplary at all the above! Dr. Merritt always gives me options and honors my situation as far as decisions for treatment. Amy Merritt did a great job reviewing my situation and discussing options. I have a lot of confidence and trust in her and would absolutely recommend her to others. Dr. Merritt is an amazing dentist. She is kind, intelligent, caring, and respectful. I appreciated the phone call. I was so convinced that it was something more serious. Dr. Amy Merritt is very thoughtful and considerate and never seems to be in a hurry. I felt like what was best for me was the priority in her guidance. Dr. Merritt is fantastic. She is always calm, caring and thorough in her exams. I have complete confidence in her. 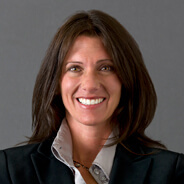 Amy L. Merritt, DDS is excellent in care, professionalism and empathy. Highly appreciate her care and skill. I'm impressed by the care of both doctors I saw. I understand that my situation was not easy to analyze, and I really was impressed by the time and care taken. It was a valuable educational experience for me, and that is unusual, from my experience. I think I'm better able to assume responsibility for my own dental health because of the clear and concise explanation of what is (probably) causing the problem. I need another category for this: It would be "Excellent."